The REALTORS® Conference & Expo was named one of the most innovative meetings this year by BizBash online. The organizer’s meticulous planning and flawless execution were no small feat, including their creation and promotion of the event app. Record-breaking app downloads and engagement numbers were evident pre-event, during the event and post-event. The communications that were created for registered and prospective attendees included an attendee video series that was featured throughout the event and even used on the shuttle bus service between hotels and McCormick Place in Chicago. The team also created a video walkthrough to show attendees how to set up their online Event Planner and then download the mobile app to sync that Event Planner with Core-apps’ technology. The app was also mentioned consistently in many communications (see below). Attendees began receiving weekly reminder emails starting six weeks out from the event, in order to stagger the “to do” items that help them plan their trip. The team usually promotes the mobile app in one of these weekly emails about one month ahead of the event. The mobile app is also reinforced in special e-communications to first-time attendees. Guests who subscribed to text messages also received a special text message with a link to download the app; this text was sent five days ahead of the event. Once on site, attendees received shorter communications, and a reminder was included in the Friday Conference Update, which was emailed on the first official day of the event. NAR’s exhibition company Hall Erickson also did a good job of reinforcing the app to exhibitors in their email communications. Overall, a comprehensive event app communications plan ensured that their tech-savvy attendees were aware of the app and its benefits. 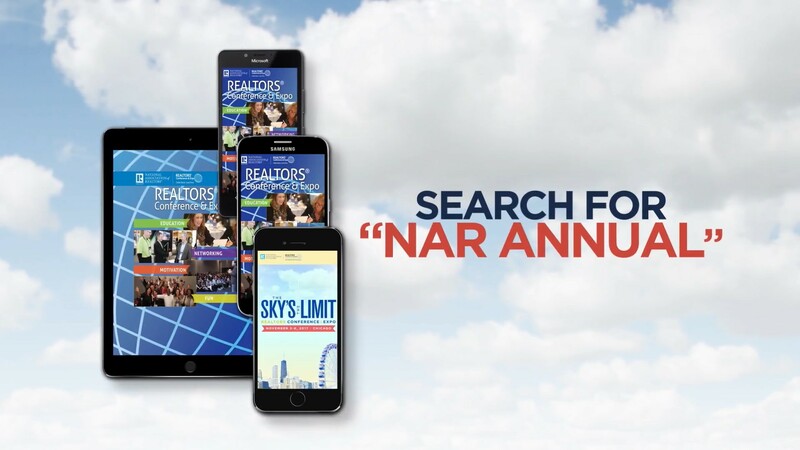 Award-winning events like the REALTORS® Conference & Expo typically have a comprehensive digital planning and communications process that nets major benefits when it comes to reviewing post-show analytics. Need help with your event app marketing plan? Please reach out to us, and we’d be happy to help!